Looking for a new or pre-owned Chris Craft? Looking for professional service? You have found the right Dealership. 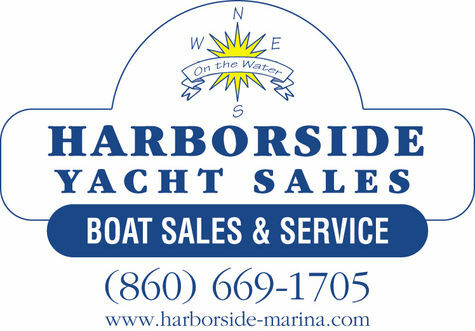 Harborside Yacht Sales is the oldest and longest running current Chris Craft Dealer in the WORLD and have been in the top 5 highest volume dealers in the world for over 15 years. We are a full service marine facility on the water in the historic town of Clinton, CT. Need dockside service? No worries, we travel to YOU. We offer off season Storage including FREE PICK UP AND DELIVERY! We are the Exclusive Chris Craft Dealer between New York City & Newport, Rhode Island and offer various turn key as well as a la carte service solutions. We service every Chris Craft in our market and specialize in Chris Craft (new and pre-owned). If we do not have something you are looking for, just ask; we are able to access almost every Chris Craft available in the United States. Not only will we offer our expertise on the different models and options but we will research the history of the boat. This service is Free. We will beat any comparable deal in North America and still provide our award winning 100% customer service after the sales. Shipping out of the United States? We are professionals in door to door delivery and offer secure financial arrangements. If you want to join our family of satisfied customers, you must contact us first and we will advise you on the best course of action. If we think you will be better served somewhere else, we will not only tell you but introduce you to a professional in that market that can assist you. You have nothing to lose by using our services. If you do find a Chris Craft from outside our area, contact us FIRST and we will assist in your purchase as well as offer you after sales service.